prior to starting this blog. See the tall section completely covered by doors? When we bought the house the section in the middle was just a big opening for the television. I can't stand trying to make it look "pretty" around a tv, so we had some doors made to match the ones that were already there to conceal the tv. 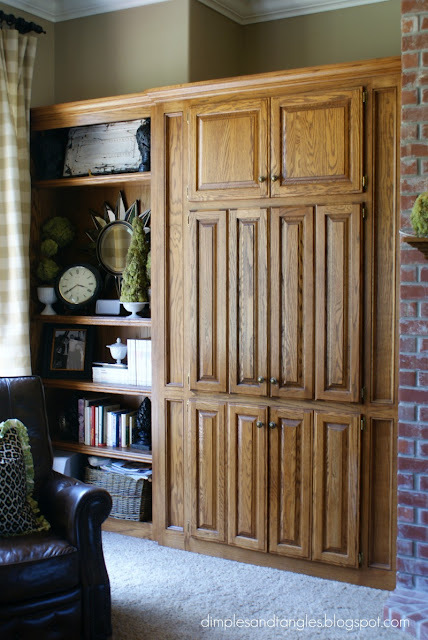 It's such a cleaner look and looks a bit more like a built-in piece of furniture to me. (in my own head), I decided to go for it. The main reason for all the debate was that I didn't want to paint all of those shelves! Enter my birthday present last year, a $49 paint sprayer from Home Depot. I had 2 coats on those shelves in about 5.2 minutes. It is a fabulous tool, although I did go through much more paint than I would have used had it all been applied with a roller. We changed the hardware out not long after buying the house, so this time around I just used a little oil-rubbed bronze spray paint to change the finish on the knobs. 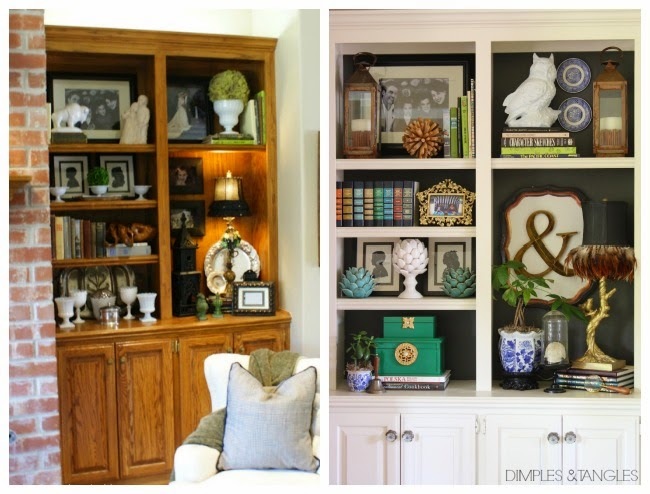 As much as I enjoy decorating, I do not particularly enjoy styling bookshelves. It always involves lots of trial and error, arranging and rearranging to find just the right grouping. Generally once I get them figured out I leave them alone until it is time to change decor for the seasons. This time I used lots of mixed metals and tried to keep them fairly simple. 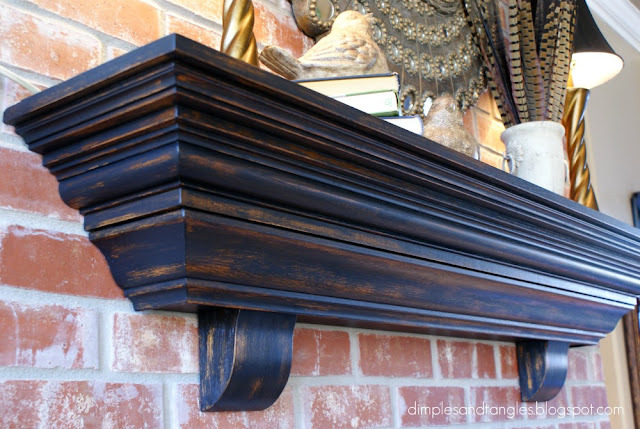 My dad made this mantle for a house that we lived in 12 years ago that didn't have one. It has moved with us through 3 other houses. I wanted to go dark with it but decided to leave some of the oak showing through so it would look a bit distressed. I basically just dry brushed and rubbed paint off as I went if I got a little too much on. *UPDATE: Click here to see how I later painted the backs of these shelves! Glad you took the plunge because they look amazing in white! So much brighter! 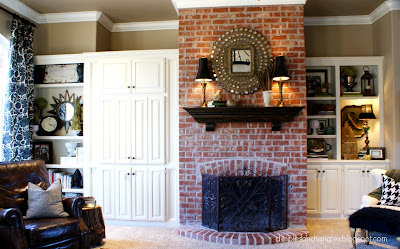 We've slowly jumped on the painted cabinets bandwagon & it is wonderful the difference it is made in the look of our home. Doesn't a little paint go a long way!! I love the white, really makes the built in stand out! I also love all your styling!! Great job! 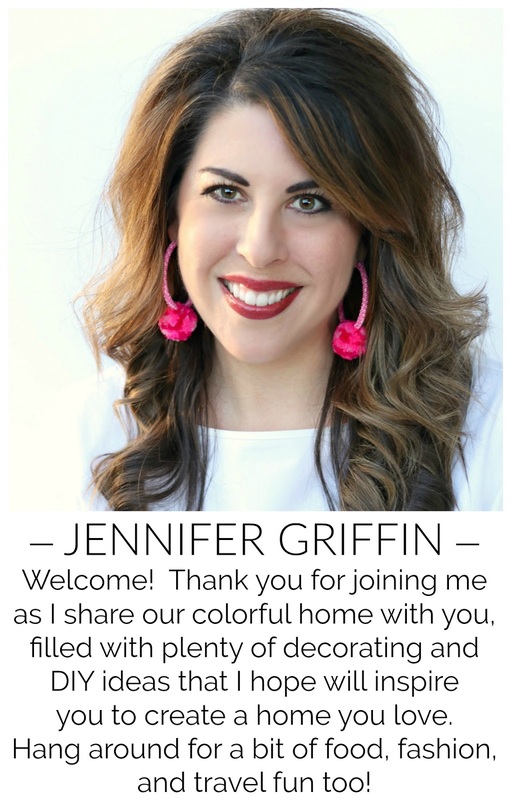 They're beautiful, Jennifer! 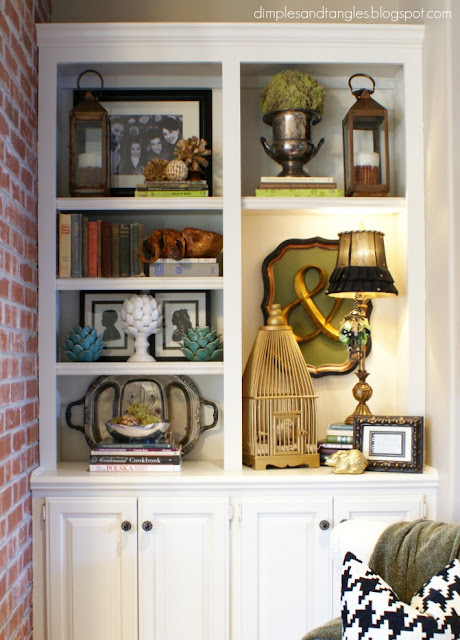 Your bookcase styling looks fabulous, I'd leave them alone, too! 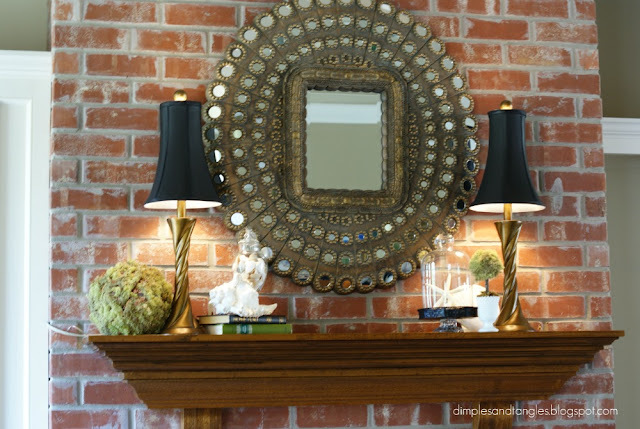 Love the mirror above your fireplace! It looks AMAZING!! 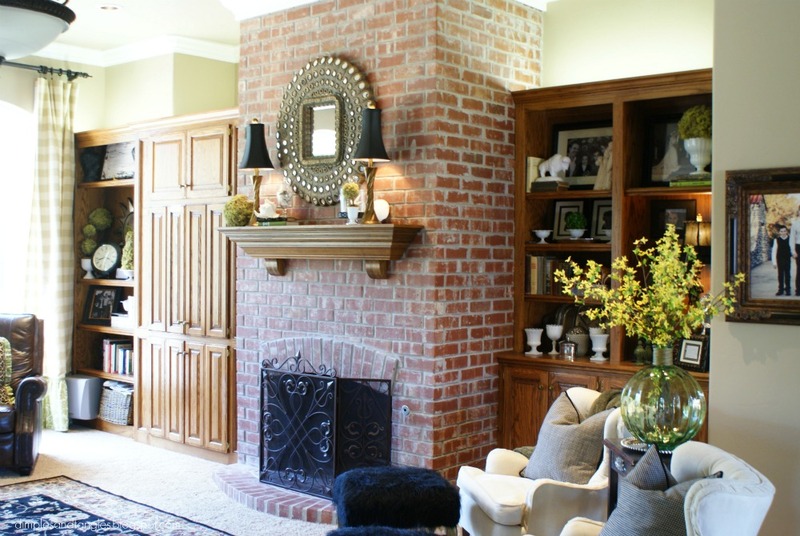 I love the built-ins and the mantel! 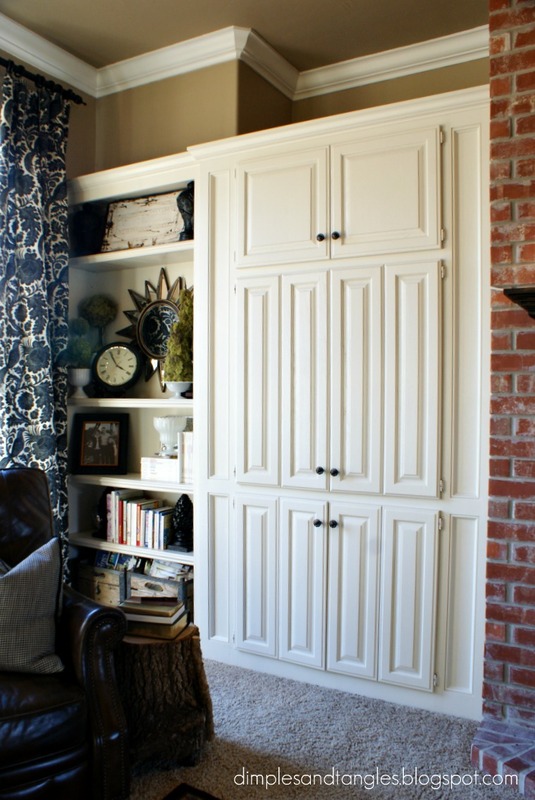 And the way you decorated the built-ins I love it! Hi! I was wondering exactly how you repainted your cabinets. I'm thinking about repainting our kitchen cabinets, but don't know how to go about it. How long did it take you to finish all the painting and drying? We're kind of in a time crunch with our 2nd child on the way, so I want to make sure my husband would have enough time to finish it. Definitely investing in the paint sprayer, tho! Wow! These look amazing! Such a wonderful transformation! Where oh where did you find those wonderful ceramic artichokes? I think the white one is Z Gallerie but would love to know where the others come from! Best shelving decor I've seen, LOVE your style! I actually purchased the white one from a store in Kansas City called Nell Hill's. The blue ones are actually little votive holders that came from Hobby Lobby! I got them right around Christmas time and they seemed to be selling fast. I haven't seen them again since then, but keep an eye out. We are very interested in talking to you about your home interiors work. My colleague has sent you a private email. Hopefully you'll get it (check your spam folder if you don't!) and would be so kind to get back to us. 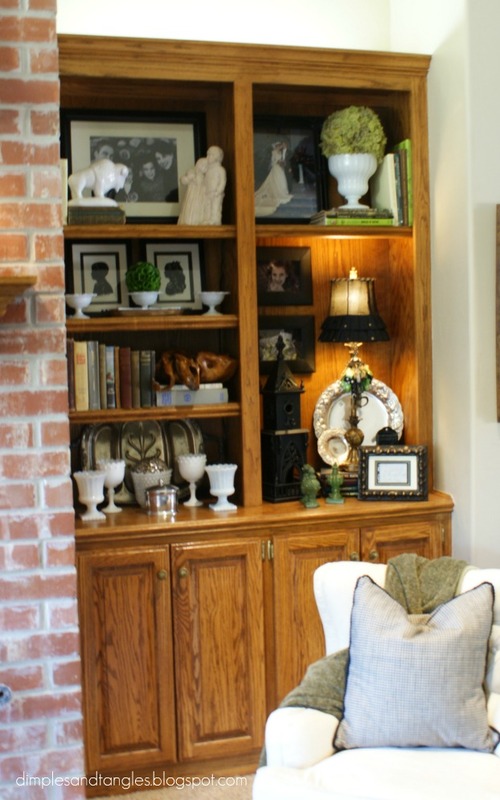 I LOVE your bookcases! Where did you find the plaque with the & symbol on it? I wish you could style my whole house! Anonymous, thank you! That is an old metal tray from a thrift store (it had a rooster or something in the middle) that I painted over and the "&" is from Hobby Lobby-just hot glued it to the tray. Reading this article just made my life so much easier. 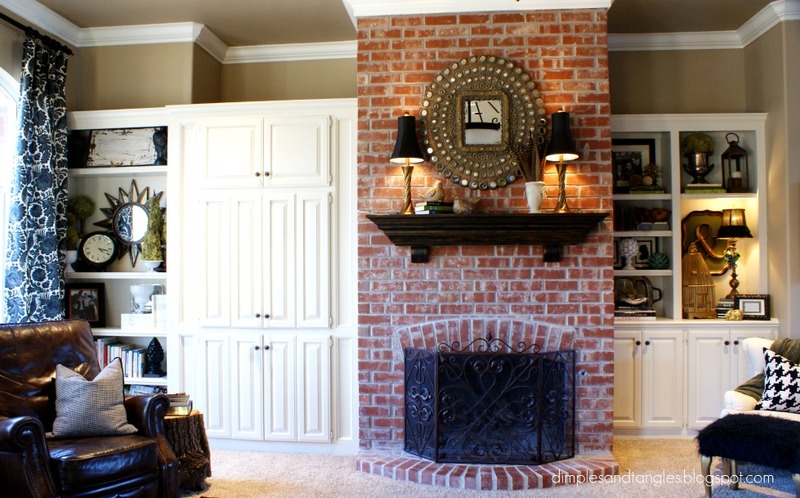 Your original cabinets and the brick of your fireplace are the exact same as mine and I've been struggling with choosing a paint color. The white you chose looks fantastic. By chance do you remember the brand and color you used? Hi Sarah, It is SO tough to choose a color! I wanted something warm but not yellowish. The color is "Divine White" by Sherwin Williams, but I had it color matched at Home Depot in the Behr Premium Paint with Primer. I love the color of your walls. What color is that? Great job! 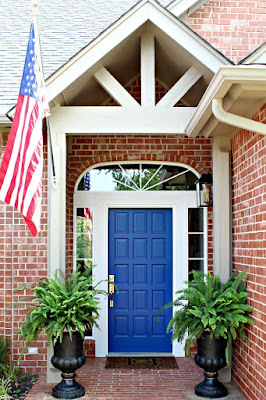 Could you please tell me the process and paint you used? We are looking into painting all of our oak built ins, but I want to do it right. I did see that you repainted them again!